Help us keep Thoreau's legacy alive. The Walden Woods Project preserves the land, literature and legacy of Henry David Thoreau to foster an ethic of environmental stewardship and social responsibility. For donations of $75 or more we offer a gift of appreciation for your support. 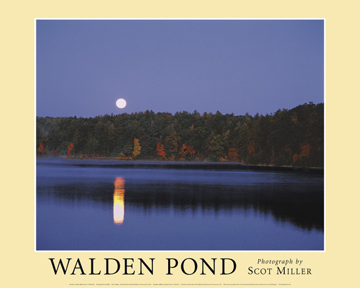 The Illustrated Walden book's cover image, Full Moon Setting, Walden Pond, with butter yellow border. This poster will look great on your wall! Printed in the USA with environmentally-sensitive waterless inks on recycled paper. 22" x 30". Your contribution will help preserve and protect Walden Woods for future generations and will assist the Walden Woods Project in meeting today's environmental challenges. Donations will support land acquisition and conservation, educational programs, research and library collections, and advocacy initiatives. All donors will receive WWP newsletter and updates about special events via email. The Walden Woods Project preserves the land, literature and legacy of Henry David Thoreau to foster an ethic of environmental stewardship and social responsibility. The Project achieves this mission through the integration of conservation, education, research and advocacy. Founded in 1990 by recording artist Don Henley, the Project uses the land it has protected in Walden Woods to foster an ethic of environmental stewardship and social responsibility, both cornerstones of Thoreau's philosophy. Preserving and protecting the landscapes of Walden Woods and Thoreau Country in recognition of their worldwide literary, historical and environmental significance, and their capacity to motivate others to identify, study and protect the Waldens that exist in their own communities. Providing innovative programs built on the philosophy of Henry David Thoreau and grounded in the land and historic resources of Walden Woods and Thoreau Country; programs that foster environmental literacy and social responsibility among students, educators and lifelong learners in the United States and around the world. Maintaining the rich collections housed in the archives and library at the Walden Woods Project's Thoreau Institute for scholars, educators, students and life-long learners to advance their understanding of the literature and legacy of Henry David Thoreau. 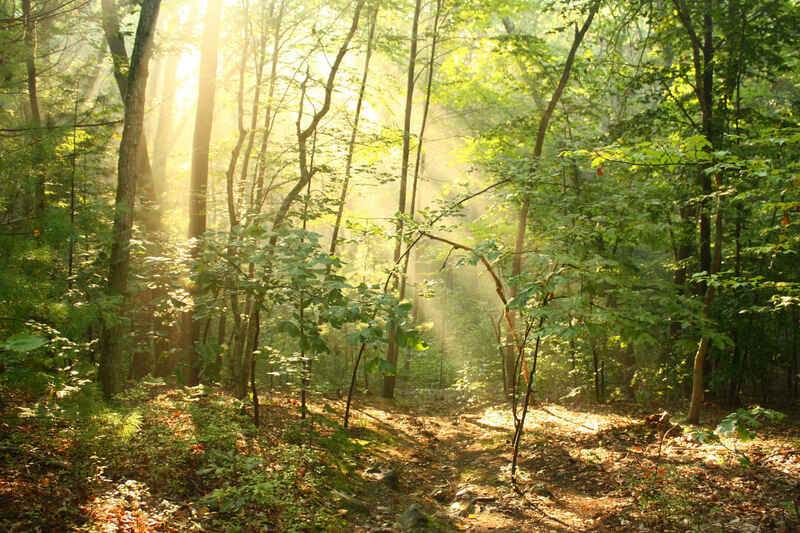 The Walden Woods Project advocates for the preservation of historic Walden Woods and Thoreau Country in Concord and Lincoln, Massachusetts, and for the broader, global environment. My congratulations to Don and the entire team at Walden Woods. Thank you for preserving this American Legacy. I hope to visit some day! I donate to save the area from development. It is a unique place in American history and literary history. For my beloved Uncle Bob and his love of Walden Pond. I heard about this wonderful project while watching a YouTube video of Billy Joel interviewing Don Henley.